A 19-year-old has won three straight matches against top-10 players to make it to the semi-finals in Toronto. In the second round he beat French Open finalist Dominic Thiem. In the third, he beat 13-time Grand Slam champion Novak Djokovic. And in the quarter-finals, he triumphed over defending Rogers Cup champion, this year’s second seed, Alexander Zverev. Sadly for Canadians, this year’s teenage upstart isn’t either of Denis Shapovalov or Felix Auger Aliassime. It’s world No. 27 Stefanos Tsitsipas from Greece – take note of that name because he’s going to be a big part of Shapovalov’s and Auger Aliassime’s tennis stories going forward. On Friday, Tsitsipas won a riveting quarter-final match over Zverev 3-6, 7-6 (11), 6-4. After a match filled with errors at either end, an unhappy Zverev was asked what he thought of Tsitsipas’s level during the match. “I don’t think he played that well. I think the match was absolutely pathetic on all levels,” said Zverev. The frustration was understandable, and he had a point – the match was sloppy with an unheard of nine breaks of serve traded. After winning the first set, Zverev served at 5-3 in the second to win the match. Instead of holding easily, he hit an error at 15-30 to give his opponent break point. Then at 15-40, Zverev sent his shot long to give the break back to the teenager, giving him life in the match. The resulting second-set tiebreaker contained more missed opportunities for Zverev. He had two match points, while it took Tsitsipas six looks at set points to finally convert. "I'm a bit confused. I don't know if that just happened." "Dreams do come true at the end. With hard work and dedication, I see it can happen." At 10-10 in that critical tiebreaker, Zverev hit a double fault, giving Tsitsipas another lead at the worst of times. Still, it’s hard to excuse Zverev’s post-game comments as anything other than poor sportsmanship. Tsitsipas was asked to respond to Zverev’s comments when he spoke to the press about an hour later. Quoting his sports psychologist, Tsitsipas avoided addressing the comments directly. “A good player can be seen in his bad day,” said the Greek teenager. “The level of tennis today, in my opinion, was not the highest. 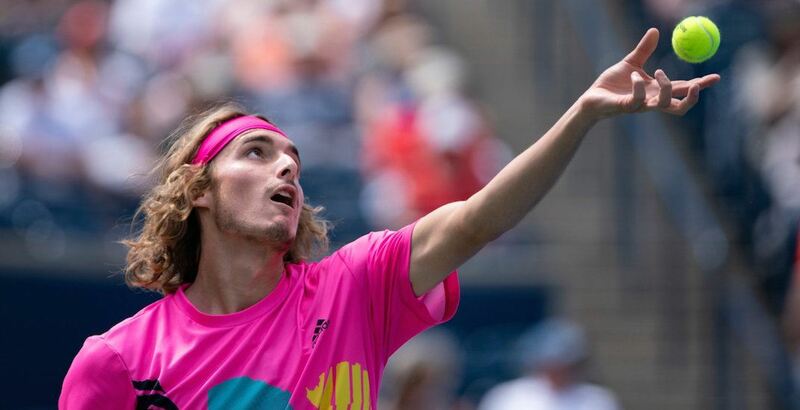 It was all right.” Tsitsipas then explained how he learned from the 6-2, 6-4 loss he suffered to the hands of Zverev at the Washington Open last week. Zverev, after earning a break in the deciding third set for a 3-2 lead, donated it right back, hitting three straight errors and being broken at love. Then, serving at 4-5 to stay in the set, at 30-40, match point Tsitsipas, the defending champion double faulted. So yes, his match was atrocious. Unfortunately, the way he handled the loss was worse.